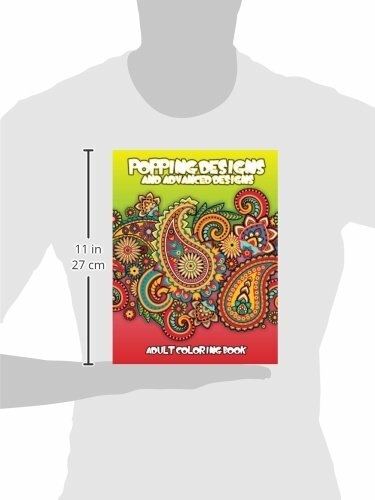 The Popping Designs & Advanced Designs Adult Coloring Book is an awesome coloring book made just for adults. 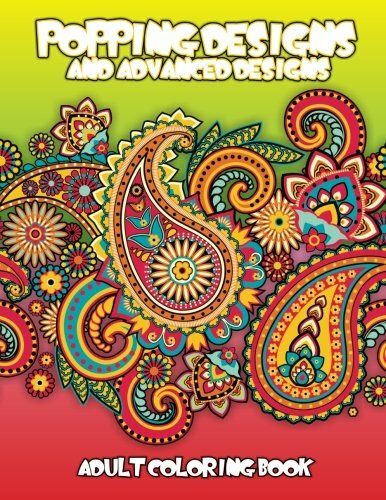 Get your creativity going with the intricate and fun patterns and detailed designs that beg to be filled with color. Spend your afternoon or evening absorbed in the pages of unique and artistic abstract designs. 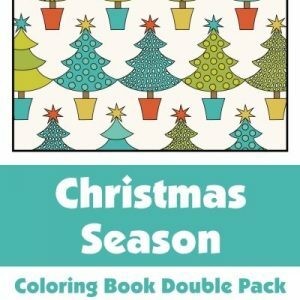 Customize the pages using colored pencils, crayons, or your choice of coloring instruments. 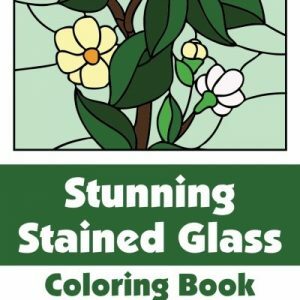 Exercise your aesthetic and color theory to create a beautiful coloring book page that could be hung on the wall as a finished product. Grownups are learning that coloring isn't just for kids. It's a relaxing, centering activity for adults of all ages. If you are looking for an enjoyable creative challenge, look no further. 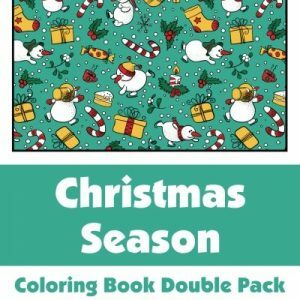 This square adult coloring book is a fantastic value at over 40 pages long and the pages are a large but portable sized 8.5 x 8.5 to give you plenty of room to color.